Nukeboard provides easy to use HR solutions for companies, recruiters and job sites. We get it, looking for talent is hard work. Sign up for nukeboard and make it easy. Create a beautiful career site or recruitment portal and improve your hiring process. Nukeboard all-in-one job site software. Looking to build a new job site or to scale your existing site? Sign up with us to deploy a scalable and feature-rich jobsite in less than 5 minutes with zero initial cash investment. Whether you are looking to build a career site for your company, a recruitment portal for your agency or to launch and grow a job site, we have the perfect theme for you to select and easily customise. You and your staff can login wherever, whenever, anywhere using any device. Also, your website visitors and job seekers can access from anywhere on any device... cool right ? Power your site with this great features. Nuekboard i mobile and tablet friendly. No seperate app to worry about. With nukeboard, you are secured online cloud storage. With nukeboard, you can customize your jobboard with numerous themes, add logo custom css, analytics and custom images. Nukeboard.co has got to be one of the most dependable hiring tools around.it is amazing for keeping track of things and having a neatly organized list of applicants. it allows you to have so much detail and control over the way you handle your hiring process. it is very simple and uncomplicated and we enjoy using it. One of the best things about nukeboard.co is the ‘’seamless’’ integration with your company’s online profile. Much like google’s business email service, having your company’s domain name (ex:yourcompany.com) gives it a more professional look and feel. 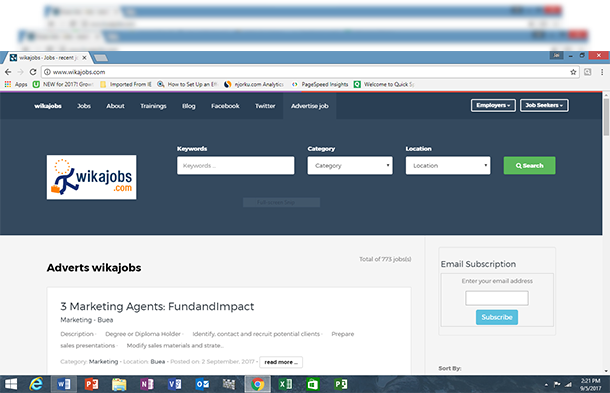 plus, you can easily customize your job post, review and reply candidates from your nukeboard.co created job site. if you’re looking for a good online recruiting tool, say no more , nukeboard.co is the best choice.